R-Voice :: Home / Latest News / News & Blogs / Have you Got Talent? Are you a talented youngster with a killer personality and a whopping great smile to match? Are you on the lookout for the right opportunity to shine? Are you ready to shock to wow and to absolutely take the people of Bristol by storm? Come along and audition for our innovative new show! Any talent.... any ability.... anybody! Come and have your moment. 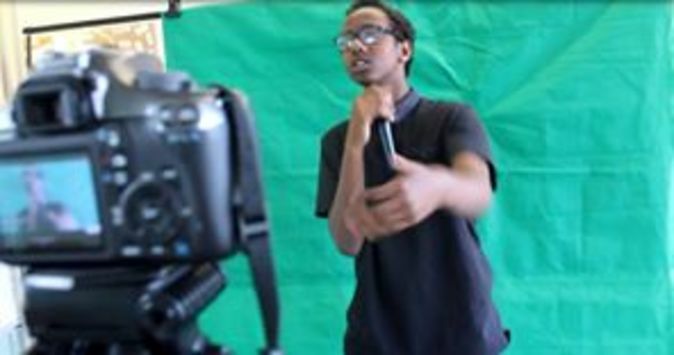 Creative Youth Network presents the opportunity for you to be a part of a new immersive multimedia show at the Arnolfini in October. It will raise questions about the journey to success, the cost of fame and the challenges young artists face when they’re trying to break into the industry. So kickstart you creative career, no matter how much experience you’ve got. Whether you’re a poet or a DJ, a dancer or a comedian, don’t miss the chance to make your mark. Email creative.dept@creativeyouthnetwork.org.uk to book an audition.